PDF Scheduled is available as well! 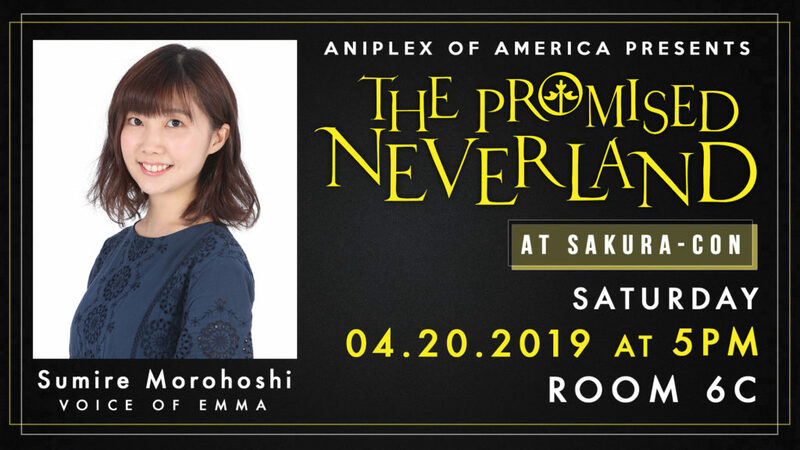 We are pleased to announce the Promised Neverland secret guest: the lead voice actress of Emma, Sumire Morohoshi!The Promised Neverland special event at Sakura Con 2019 is brought to you by Aniplex! The Scavenger Hunt returns again for 2019, and this time the stakes are even higher. The story begins at Opening Ceremonies (attendance is not required, don’t worry—a summary will be provided after), and then after 10AM on Friday go to www.sakuraquest.org/play and follow the clues around con to solve the mystery and get an exclusive mascot pin! This is the attendee’s rare chance to meet up close with the Guests of Honor. You’ll be able to ask Guests questions in a more personal environment while enjoying a buffet style meal being provided by the hotel. Not only can you ask your favorite Guest of Honor questions about his/her work, but possibly get an autograph from them “after” everyone has eaten. This is a must not miss event that you can get in only by purchasing a special invitation! Reservations are extremely limited, and available through the Guest Reception page. 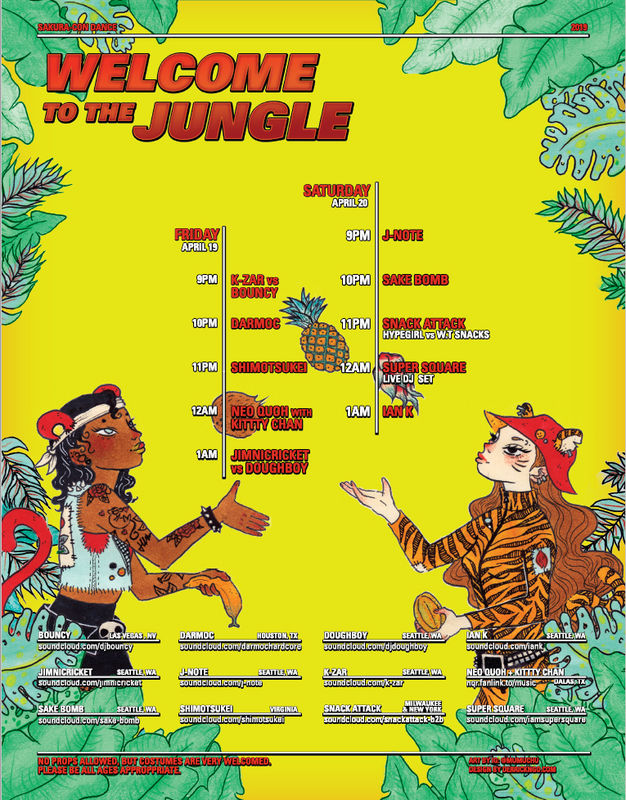 Sakura-Con’s 2019 Dance will be themed Welcome to the Jungle! This is a multiple-choice, open-book, take-home quiz that begins on the Sakura-con site three weeks before the convention. You can look up anything you want to get the answer. The questions are so hard that you probably will not know any of the answers from memory. Instead, you will need to do research into the real world of such topics as art, geography, history, literature, music, and science. Hopefully, this will give you a better appreciation of what goes on in anime and some of the hidden meanings behind the material. Come one come all as night falls and the stars come out to play. 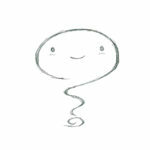 And so do those steeped in night. The magic and the mystery that night brings causes those to dress in their finest wear and dance away. From stars to the twinkling lights of the city, from the fae to those who still believe. Let them all dance away in a midnight reverie. Please join Sakura-Con as we present ‘Midnight Reverie’, the Masquerade Ball. For the first time, we present a gothic themed ball. We encourage you to wear your best and darkest attire. We look forward to seeing you on Friday evening. Sakura-Con’s Masquerade Ball, Midnight Reverie, is looking for Masquerade Ball Hosts! Outgoing? Love people and to dance? Then this is the place for you! Please apply at Masquerade Ball Hosts Page or if you have any questions, please email masquerade@sakuracon.org. 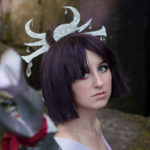 Here are the 2019 Sakura-Con costume contest judges, we encourage everyone to read the autograph and photography policies and guidelines regarding Guests. 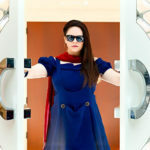 Lulu Laurent is an award-winning Seattle based cosplayer who’s actively been attending SakuraCon since 2002 and entering cosplay competitions around the country since 2006. 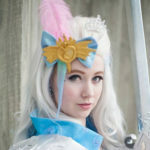 This Sakuracon marks the 10 year anniversary since Princess of Tea started cosplaying. 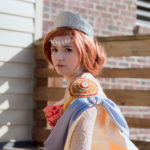 Since then, she has competed in numerous contests and taken home many top ranking and Best in Show awards from conventions such as Kumoricon, RCCC, and Kuronekocon…. 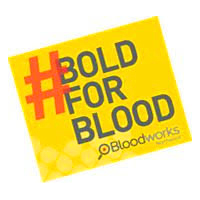 Blood Drive 4/19 & 4/20 – You’re the Type to Save Lives! It is only with the help of wonderful volunteer donors that blood is available for patients in need. Please consider donating blood at Sakura-Con! Let’s fill the beds! Our goal is 70 donors each day! This Newsletter is the meant to get you pumped up for the Convention and give out some helpful tips to Newcomers! 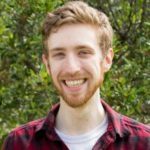 Justin Briner is a Dallas-based actor and singer known primarily for his work in anime and video games. Recently, he’s started up the third season of My Hero Academia as Izuku “Deku” Midoriya. He can also be heard as Mikaela in Seraph of the End, Nova in Space Patrol Luluco, Yukito and Yue in Cardcaptor Sakura, Yoichi in Drifters, Ayanokoji in Classroom of the Elite, Alfonso in GARO: The Animation, Niko in Nanbaka, Ryota Mitarai in Danganronpa 3, Frate in 91 Days, Qwenthur in Heavy Object, Manato in Grimgar, Ashes and Illusions, and many more. Additionally, he has provided voices for games such as Dust: An Elysian Tail, SMITE, Regalia: Of Men and Monarchs, Cibele, and DreadOut. Sakura-Con’s Masquerade Ball, Midnight Reverie, is looking for Masquerade Ball Hosts! Outgoing? Love people and to dance? Then this is the place for you! Please apply at the Masquerade Ball Hosts Page or if you have any questions, please email masquerade@sakuracon.org. Originally from Niigata Prefecture, Shinobu Ono is a producer at Cloverworks studio. Mr. Ono is responsible for producing many hit shows including IDOLM@STER SideM and this year’s most talked about show – The Promised Neverland. Mamoru Kanbe is a Japanese anime director whose repertoire features a wide range of works across all genres. 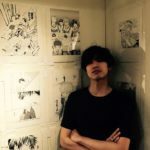 He has served as director for many prestigious anime series including Cosmic Baton Girl Comet-san, Elfen Lied, The Perfect Insider, and the Tegami Bachi series. Mr. Kanbe is currently working as the director for the most talked about series of the year – The Promised Neverland. 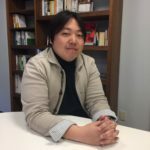 As a producer from Aniplex, Kenta Suzuki is responsible for numerous fan favorite shows including ERASED, GRANDBLUE FANTASY The Animation, Wotakoi: Love is Hard for Otaku, and Sword Art Online Alternative: Gun Gale Online. 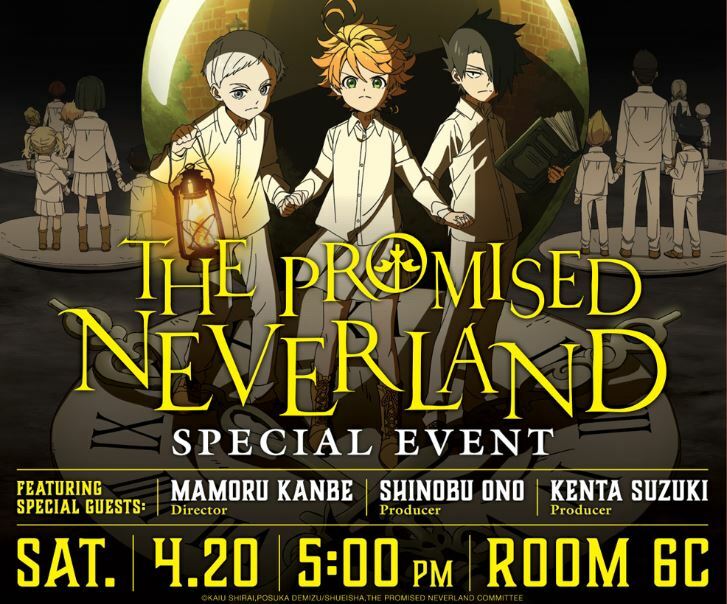 Mr. Suzuki continues to keep fans on their toes as the producer for the smash hit series, The Promised Neverland. Sakura Con 2019 is pleased to welcome Goro Taniguchi! 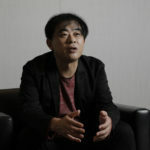 As a director, his most notable works include: Infinite Ryvius, S-CRY-ed, Planetes, Maria the Virgin Witch, ID-0, Revisions (2019), and Code Geass: Lelouch of the Rebellion. 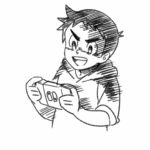 In addition, he has also worked as the creative producer of My-HiME, Linebarrels of Iron, and is also the script and story writer of the manga Atrail. Mr. Taniguchi will be presenting the Sakura-Con premiere of the brand new Code Geass sequel movie, Code Geass: Lelouch of the Re;surrection (Japanese with English subtitles), in cooperation with Sunrise and Funimation! 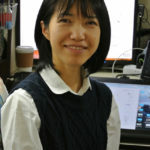 Sakura Con 2019 is pleased to welcome Yuriko Chiba! 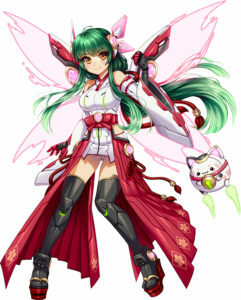 Her most notable work is as a main animator for Code Geass: Lelouch of the Rebellion. 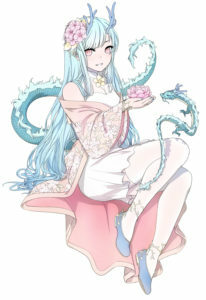 In addition, she has worked as a character designer for Planetes, and character design and animation director of Maria the Virgin Witch. Ms. Chiba will be presenting the Sakura-Con premiere of the brand new Code Geass sequel movie, Code Geass: Lelouch of the Re;surrection (Japanese with English subtitles), in cooperation with Sunrise and Funimation! 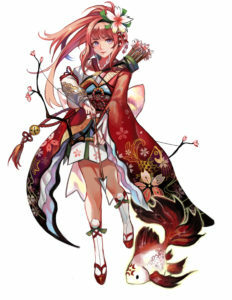 Sakura Con 2019 is pleased to welcome Eiji Nakada! 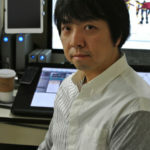 Some of his most notable works include Code Geass: Lelouch of the Rebellion, where he designed the Knightmare Frames and also worked as a main animator. He has also been a main animator for Eureka Seven, and a Conceptual Designer and Animation Director for Maria the Virgin Witch. 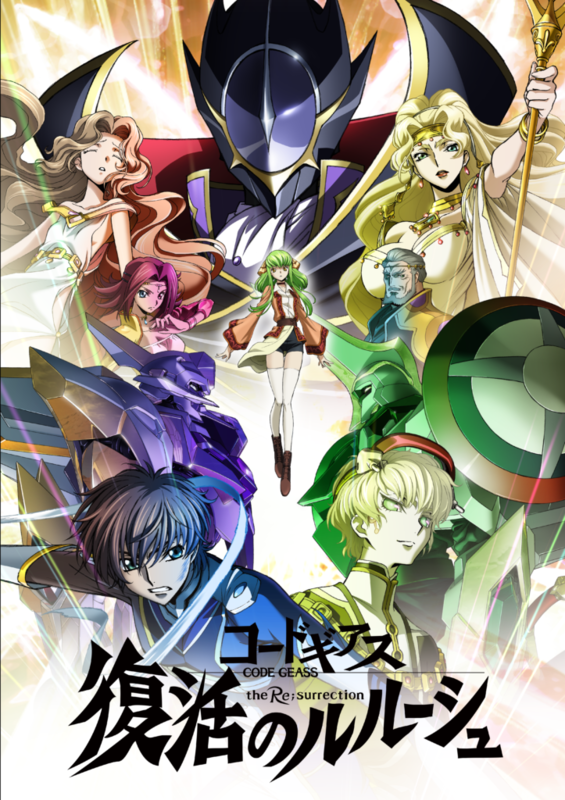 Mr. Nakada will be presenting the Sakura-Con premiere of the brand new Code Geass sequel movie, Code Geass: Lelouch of the Re;surrection (Japanese with English subtitles), in cooperation with Sunrise and Funimation! Mr. Taniguchi has been a producer at Sunrise since 2000, and has been involved with Overman King Gainer, Code Geass: Lelouch of the Rebellion, and was the lead project manager for Mobile Suit Gundam: Iron-Blooded Orphans. He has headed up every production in the Code Geass series, and will be presenting the Sakura-Con premiere of the brand new Code Geass sequel movie, Code Geass: Lelouch of the Re;surrection (Japanese with English subtitles), in cooperation with Sunrise and Funimation! 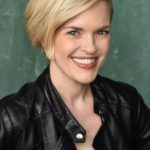 Major Animation Roles Include Chloe Carmichael in The Fairly Oddparents, Tigress in Kung Fu Panda: Legends of Awesomeness, Jessica/ Rick’s Spaceship in Rick and Morty, Shandra Jimenez in Gravity Falls, Starfire in Justice League VS. Teen Titans movie, Charmcaster in Ben 10, Emma Frost in Wolverine & The X-Men, Li’l Suzy in Phineas and Ferb, Anka in Archer, Enchantress and Jane, Foster in Avengers: Earth’s Mightiest Heroes, Saturn Girl in Lego DC Comics Superheroes: Justice League Cosmic Clash, Mina in Bunnicula, and Letta Turmond in Star Wars: The Clone Wars. 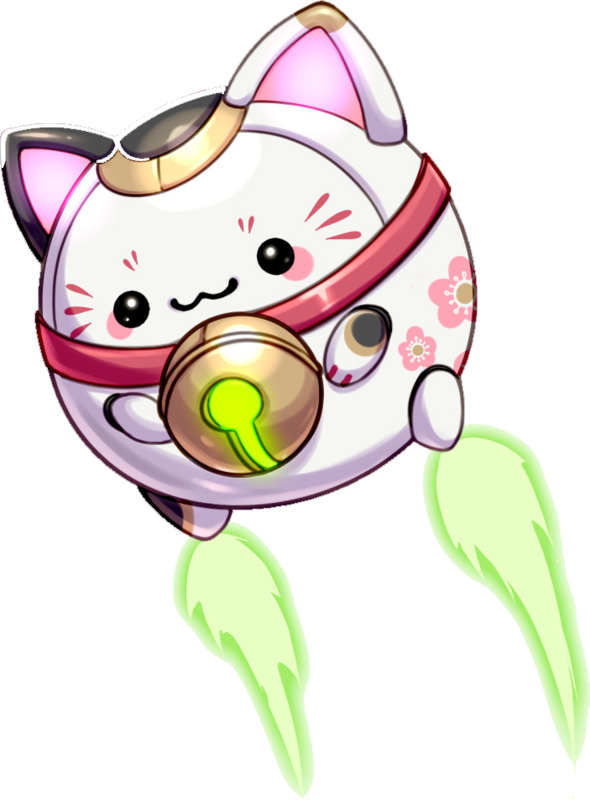 Major Anime Roles Include Haruko in FLCL, Fuu in Samurai Champloo, Saber in Fate Zero and Fate Stay Night, Celty in Durarara, Kagami in Lucky Star, Tayuya in Naruto, Anemone in Eureka 7, Robin in Witch Hunter Robin, and Rip Van Winkle in Hellsing.